Never over-boil your eggs again! 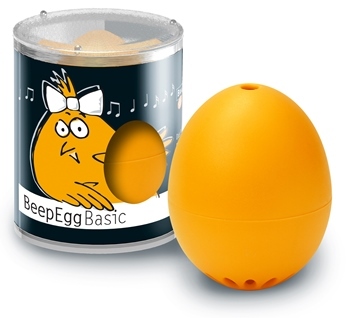 Made in Germany, the BeepEgg is making a singing entrance to the US! Simply drop the device into your pot of boiling eggs and it will play different tunes to you when you reach a soft, medium, and hard boil. You will get a good laugh and your eggs will turn out perfect. Great for Easter or as a gift! Brainstream has already accepted a second round of participants and is not currently accepting offers.